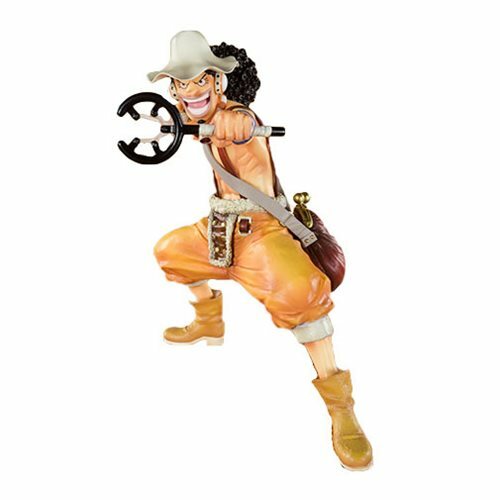 From the hit anime One Piece comes this FiguartsZero statue of Usopp. The One Piece King Of Snipers Usopp FiguartsZero Statue features Usopp looking cool with his Galaxy Slingshot! Measures about 4 7/10-inches tall.